Any damage caused by a fire can be very devastating to both your property and family. Smoke and ash from a nearby fire can easily get onto your walls and ceiling. Smoke, ash and soot can even get into clothing, linens, furniture and toys. We understand how difficult this time can be and you’ll need a caring expert to guide you through this crisis. You can count on SERVPRO of Claremont / Montclair to always treat your home and belongings with great care. We have the water and fire damage knowledge to get you through your time of need. Once the fire department has put out the flames, your home may experience water damage from the fire fighting efforts. 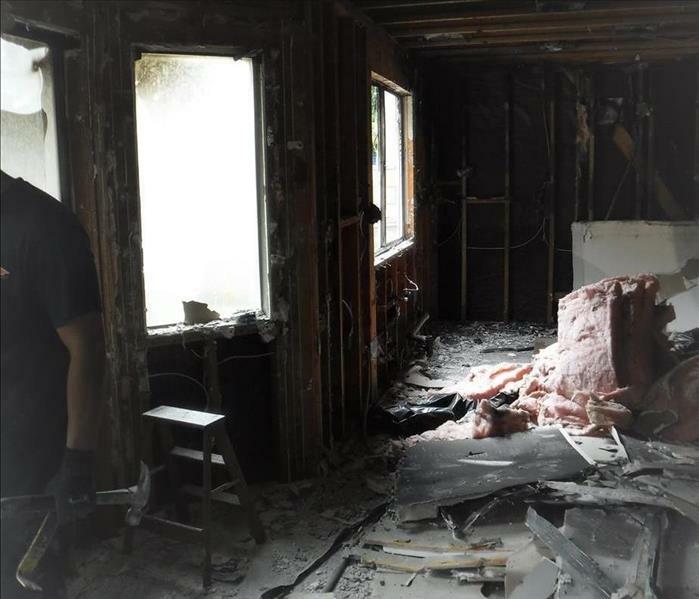 We have the fire and water damage restoration equipment, training and experience to handle your restoration emergency and restore your home the way it was. Please follow our Fire Damage Tips - Until Help Arrives Guide to protect yourself and your home or business. Rest assured, we’re here to help. SERVPRO of Claremont / Montclair is locally owned and operated, so we are part of this community too. When you have a smoke or fire damage emergency, we’re already nearby and ready to help. We take pride in being a part of the Claremont community and want to do our part in making it the best it can be.